PIGEON FORGE, Tenn. (November 2008)-The keel is being laid for Titanic Pigeon Forge, a towering ship-shaped museum/attraction devoted to the world's best-known ocean liner. Christening of the 30,000-square-foot structure that will resemble the romantic cruise ship will be in the spring of 2010. It is a $25 million project of Cedar Bay Entertainment, which also is the parent company of the first Titanic Museum Attraction in Branson, Mo. Titanic Pigeon Forge will open a little more than a year after the opening of another major tourism investment in Pigeon Forge, the $114 million Belle Island Village mixed-used development that will begin serving guests this winter. Home port for Titanic Pigeon Forge is a 5.69-acre site on the Parkway near the Black Bear Jamboree, the Miracle Theater and WonderWorks on the north end of Pigeon Forge. The city is a gateway community to Great Smoky Mountains National Park and attracts more than 11 million visitors a year. Constant change and growth are Pigeon Forge¹s greatest assets, said John Joslyn, president of Cedar Bay Entertainment. Visitors have always enjoyed many reasons to return to the area, and Titanic Pigeon Forge will easily become yet another reason to stop, shop and be entertained and enlightened. Joslyn's interest in the Titanic began as a producer of television specials, and he has been to the bottom of the North Atlantic to see the actual Titanic while working on specials about the unsinkable vessel. The attraction will display hundreds of priceless Titanic artifacts in 20 galleries on two decks that will also contain exact replicas of the Grand Staircase, a first-class suite, a third-class cabin and a Marconi wireless room. The bridge will offer interactive features similar to those of its Branson sister ship. Each visitor will receive a boarding pass bearing the name of a real Titanic passenger or crew member and will be able to touch an iceberg, experience the chill of 28-degree water, sit in an actual life boat, steer the ship and send an SOS message. Titanic Pigeon Forge will be a welcome addition to our city's list of quality attractions, said Pigeon Forge City Manager Earlene Teaster, noting that it will complement Dollywood, Dolly Parton's Dixie Stampede, WonderWorks, Belle Island Village, more than a dozen theaters, the Old Mill, Walden's Landing and several outlet shopping malls. Citizens National Bank has taken a leadership role in financing with the support of USDA Rural Development. Bob Fleming, president of Idletime is the creative director of the project; Butler, Rosenbury & Partners, Inc. is the architectural and engineering firm; and Turner Construction Co. is the contractor. 2006 and welcomed more than a million guests in its first two years. 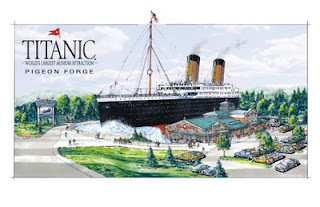 Renderings of Titanic Pigeon Forge are at http://www.blogger.com/www.TitanicPigeonForge.com <http://www.TitanicPigeonForge.com/> , and details of Titanic Branson are at http://www.blogger.com/www.TitanicBranson.com <http://www.TitanicBranson.com/> . Information about all aspects of Pigeon Forge is available online at http://www.blogger.com/www.MyPigeonForge.com <http://www.MyPigeonForge.com/> or toll-free at 1-800-251-9100. Fall is rolling along and soon winter will be here. This past week there were a couple of wonderful bicycles rides in the North Carolina Smoky Mountains. Out past Bryson City the Nantahala Outdoor Center put on the Nantahala Challenge and in Franklin, I rode in the Tour De Franklin metric century ride developed by Smoky Mountain Bicycles in Franklin. Road Cycling is ever popular in the Smokies with folks taking on the area's quiet country back roads and the ever popular and challenging Blue Ridge Parkway. 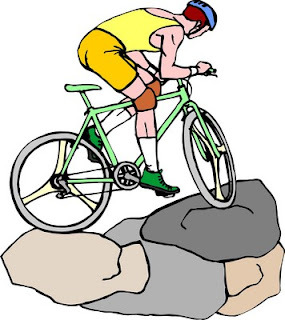 One of our new favorite events occurs in September, the Tour De Tuck put on by the Jackson Chamber of Commerce. Their web site is http://www.mountainlovers.com/ and follow the links to the Tour De Tuck. Mark your calendars for next year to take on a metric century or full century ride that lives up to its billing “ fierce beauty, fierce ride”. Road biking becomes a bit of challenge here in the autumn and winter months. Cold weather is a challenge to ride in without being properly equipped. Many folks here, including myself, find mountain biking with its slower speeds is ideal in these months. 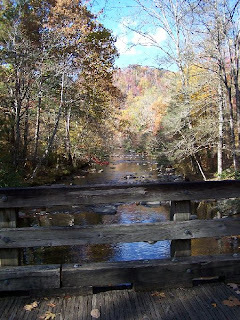 I frequent Tsali Recreation area in the Nantahala National Forest on Lake Fontana ( this is just outside of Bryson City) and the many challenging trails in the Pisgah National Forest near Brevard. Welcome to Smoky Mountain Time! Smoky Mountain Fall color from one of Bob's Mountain Bear Cabins. It's hard to believe that it's just 5 weeks until the much anticipated Fantasy of Lights Christmas Parade in Gatlinburg TN. 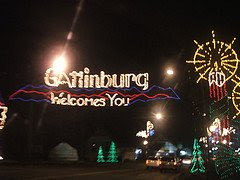 It is scheduled for Friday, December 5th, 2008 at 7:30pm in downtown Gatlinburg. There will be more than 100 parade entries including marching bands and giant helium balloons. Santa’s Autograph Party starts at 6 p.m. on Dec. 5 at Riverbend Mall at Light #3 in front of the Gatlinburg Welcome Center. The parade begins at Traffic Light #1A on Hwy 321 and lasts about 1 hour-and 1/2 later at Traffic Light #10. 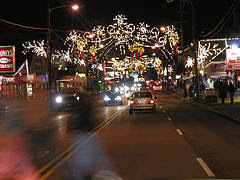 Be sure to arrive early since a ton of people are expected to be there for the festivities during this second phase of Gatlinburg Winter Magic, the City of Gatlinburg’s popular holiday lights program which is receiving a $1.5 million expansion. To learn more about these and other events in Gatlinburg, call 800-56-VISIT (568-4748) or visit the Gatlinburg website at http://www.gatlinburg.com/. Why not come and spend the weekend for this spectacular event, check out these great cabin rentals around the Pigeon Forge and Gatlinburg area. Bring the whole family to start the holiday season in Smoky Mountains! Follow Smoky Mountain Travel Tips & Get All The Updates! We love the Smoky Mountains of Tennessee and North Carolina. They truly hold a special place in our hearts and we want to share that with all of you. We try to bring you interesting news and information about Pigeon Forge, Gatlinburg, Sevierville, Wears Valley, Townsend, Cades Cove, Bryson City, Dillsboro. Sylva, Cherokee and all of the Great Smoky Mountain National Park. NOW, we want you to keep up with all of our updates by following our Smoky Mountain Travel Tips blog - just click Follow this Smoky Mountain Travel blog and you will get all the updates. Be part of our Smoky Mountain Followers ! I am thrilled to have somewhat of a Smoky Mountain expert giving us a fall color report from the NC side of the Smoky Mountains this week. Bob and Tonya Williams live in this beautiful area and have cabin rentals and the yummy Dillsboro Chocolate Factory ! Fall color is really starting to abound in the Smokies the final week of October. Predicting fall color is somewhat a science and somewhat an art. 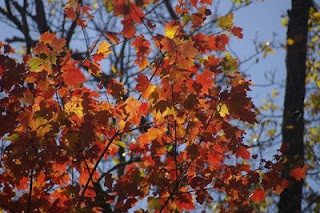 Leaf color change is influenced by shortened days as the calendar turns to September and October, temperature of the season, moisture over the growing season. 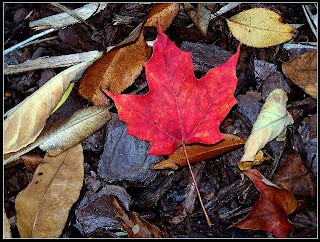 All these play a role in the timing and intensity of the fall colors on hardwood trees. We have had a warm fall until this week with temperatures plunging into the 20s and in the higher elevations and some valleys received nearly 3 inches of snow on Tuesday morning! 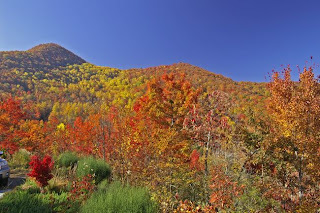 Historically fall colors peak in the Smokies around the 2nd or 3rd week. However, the ongoing drought in the Southern Appalachians could be having a positive side effect with prolonged fall color seasons. Last year here in the Dillsboro/Sylva/Bryson City area we had fall colors on the oaks well past Thanksgiving with intense reds. Perhaps this year we will see the same. Fall foliage will likely be at peak come this week and into next week based observations from my driving around the area. Up on the Blue Ridge Parkway above 5,000 feet fall is almost finished, but below 5,000 feet and into the valleys fall is going strong. So, if the predictions made in magazine articles and other places got you thinking about fall colors being past their peak? Think again and perhaps take a drive to the Smokies over the next few weeks and experience a cool crisp Smoky Mountain Fall. Are you up for a new, exciting way to view the Smoky Mountains? IF so, check out the new WAHOO ZIPLINE, near Pigeon Forge TN. This is not only an absolutely thrilling ride, you even have an amazing view of Mt LeConte. Age does NOT matter, if you are between 70 lbs and 275 lbs, you can try this exhilarating zipline ride! The Wahoo Zipline in Sevierville, TN offers 5 single zips and 1 dual zip, total 10,000 feet. They are conveniently located just outside Pigeon Forge and just a short drive from Gatlinburg. Check out this awesome YouTube video instruction from Wahoo Zip Line -Sevierville TN, Gorgeous views, very long zip over the trees ! Sandy Sgrillo owns Smoky Mountain Llama Treks near Pigeon Forge TN. Her company does hiking treks all over the Smokies with her professionally trained pack-llamas. The Llamas are easy to lead(not ride). They carry all your hiking gear, lunch, etc so you can enjoy your hike through the Smokies. 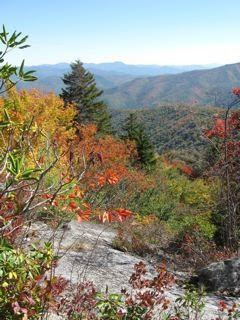 Sandy kindly shared this great fall color report a week or so ago from the beautiful Smoky Mountains. Check out Sandy's report and photos. 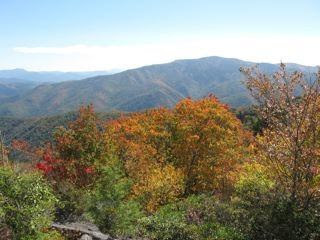 Folks, IF you hurry you can still see some beautiful fall color around the Smokies. Some of the higher elevations have lost their leaves but there's still color around. If you don't make it to the Pigeon Forge/Gatlinburg area in October, November offers less traffic, it's much easier to get around and the lights of the Pigeon Forge Winterfest kickoff on November 6th with lots of fun activities! Try our spectacular cabin rentals near Pigeon Forge and Gatlinburg, some are even pet friendly with approval. Plan to take a Llama Trek with Sandy while you are there !! You will get a whole new perspective of the Smoky Mountains. News From The Smoky Mountains! Fall is here and the color is starting to show in the Smokies. 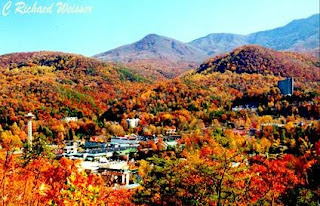 You still have time for a trip to the Smoky Mountains to see the beautiful fall foliage. You can keep up with the changing fall colors through several Smoky Mountain Webcams and Podcasts here at NPS. Here's a new way to keep up with all the news around Pigeon Forge, Gatlinburg, Cherokee and the Park. Raymond Owens has a new website about his beloved Smokies called GoSmoky.com He and his wife Veronica honeymooned in the Smoky Mountains years ago and they have loved the area ever since. I know what he means, I love those mountains as well ! Raymond's website not only has links and info about the area, he also does a BlogTalk Radio Show on his website. He interviews interesting people with all kinds of news about restaurants, attractions and festivals. His show today was sponsered by Dave & Phyllis Baseler with Smokies Rent Direct Cabins and Raymond interviewed Dave to find out how he came to own and rent cabins in the Smokies. They also chatted with some representatives from Dollywood and Pigeon Forge. Go Smoky has some very informative shows about Asheville, Pigeon Forge, Gatlinburg, Sevierville, Townsend, Cades Cove and much more. He will be doing his live show from Cherokee tommorrow so be sure and tune in or catch it later online at GoSmoky.com He loves to hear from listeners also, you can call in to share your own Smoky Mountain memory. Check out all these beautiful Smoky Mountain Cabin Rentals available to make your trip the absolutely best ever, some are even pet friendly. When you ask the question: "What does this town have to offer?" few can offer the response of what makes Gatlinburg one of a kind: Gatlinburg Tennessee offers The Great Smoky Mountains National Park! That would be enough, as the Great Smoky Mountains is the most visited National Park in the United States. Somewhere between eleven and thirteen million visitors every year come to enjoy the unsurpassed natural beauty and the magnificent splendor of creation at its finest! But Gatlinburg has so much more to offer! It has plenty of lodging available for park visitors. Everything from simple motel rooms to deluxe chalets! It also offers every kind of eatery imaginable. Everything from simple fast food to elegant dining is available! There are also hundreds of merchants, plenty of shopping, novelty and boutique stores as well! Other popular stops are Ripley's Aquarium of the Smokies and the ski slopes of Obergatinburg. There is also an extensive arts and crafts community where you can buy one of a kind items created by local artisans. Gatlinburg has something for everyone. Why not plan a visit to Gatlinburg and the Great Smoky Mountains National Park today? Richard Weisser, Broker, Associate Broker, Auctioneer, E-Pro, CE InstructorEra United Realty, Newnan Georgia, Coweta Fayette Real Estate, Inc.Serving Coweta, Fayette, Heard, Meriwether, South Fulton, Pike and Spalding Counties770-827-6225, 770-683-8400 X364, 770-683-8401 (FAX)Follow me on Twitter Account cowetafayetteAll content, including text, original art, photographs and images, is the exclusive property of Coweta Fayette Real Estate, Inc., and may not be used without the expressed written permission of Coweta Fayette Real Estate, Inc. All information is believed to be accurate but is not warranted, Copyright 2003-2008. Love Classic Cars or Street Rods? See Ya In Pigeon Forge In September! If you love any kind of street rod or classic car, truck or motorcyle - then most likely you have visited Pigeon Forge TN in September..
Each year in the spring and the fall - classics start arriving in the Smoky Mountains to show off their stuff.. Lawn chairs line the Pigeon Forge Parkway so folks can enjoy the "parade" that takes place from sun-up to sun-down. For those who might not enjoy all the cars - drop them off at the Five Oaks Outlet Mall in Sevierville -- great shopping to last all day !! You might just see a sweet Corvette like the one above.. This one is owned by our friend - Jim Griffin from Hickory NC. The Fall Car Shows are coming up again soon - Start planning your trip to the Smokies. September 5-6, 2008: Shades of the Past Rod Run: National Parks Resort Lodge-Pigeon Forge. Want A F*R*E*E ZORB Ride In Pigeon Forge? We are offering a F R E E ZORB ride ($45 credit) for a LIMITED Time for any Cabin booking(3 Nt Minimum) with Heavenly Cabins (does not apply to previous bookings) . Zorb rides vary in price from $37 for Zydro ride with up to 2 friends and a little water to $ 44 to the single Zorbit dry ride.. There are group rates and you get a special rate for Zorb-Tri-Riffic for any 3 Zorb rides. Zorb is a large inflatable plastic ball that measures approximately 11 feet in diameter and weighs almost 200 pounds. Zorb Passengers — or Zorbonauts — fit inside the ball and experience crazy fun as the Zorb rolls several hundred feet down a hill. A cushion of air inside the ball protects the Zorbonauts throughout the trip down. Welcome to extreme sports in Pigeon Forge TN. Zorb Smoky Mountains offers two types of Zorb rides, both very different. The Harness Zorb ride calls for the passenger to be strapped inside the Zorb with a harness. The result — very often a feeling of weightlessness as the ball rolls downhill. During the Hydro Zorb ride, Zorbonauts remain unharnessed but share the Zorb with a bucket of water, creating a very slippery ride. 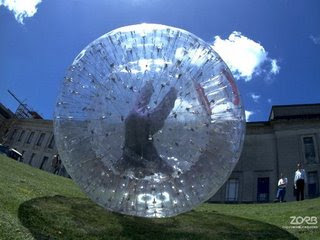 Up to three people can ride inside a Zorb ball. There is also a Zorb experience expressly designed for children under age six. What could be better than a Tennessee - Smoky Mountain vacation and saving money too !! Bring the kids for a mini vacation in the Smokies, check out all the Pigeon Forge Outlet Malls for the "tax free - back to school" shopping weekend from Fri 8/1 till Sun 8/3/08. The State of Tennessee has it’s third annual August Sales Tax Holiday, which gives back-to-school shoppers the opportunity to purchase certain clothing, school and art supplies, and computers free of Tennessee sales tax, will begin on Friday, August 1. The long weekend of savings begins at 12:01 a.m. on Friday, August 1 and ends on Sunday, August 3, at 11:59 p.m. The state’s dedicated Sales Tax Holiday Web site, http://www.tntaxholiday.com/, has been updated with new materials, including information about exempt items, frequently asked questions and more. During the designated three-day weekend, consumers may purchase select clothing with a price of $100 or less per item, school and art supplies with a price of $100 or less per item, and computers with a price of $1,500 or less without paying Tennessee's state and local sales tax on the items. Also, check out beautiful Pigeon Forge/Gatlinburg Cabin Rentals for your TN Tax Free Weekend shopping trip. Take Me Out To The... TN Smokies Ballgame !! The Tennessee Smokies Baseball team starts a 5 night series with the Montgomery Biscuits tonight - 7/22/08. Game time is 7:15pm each night, Tues-Sat. They have great specials each night.. Why not bring the family out to the ballpark, eat a hot dog and enjoy the Tennesse Smokies game?? Sevier County Night Do you live or work in Sevier County? If so, you're getting $2 off your walk-up game day purchase of a Field Level or Bleacher seat with proof of residence or employment at our ticket office. Buck Night" We've got dinner covered for you and yours tonight, as popcorn, hot dogs, small fountain Pepsi products and soft serve ice cream are only $1 each all night long! And get one of our souvenir game programs for only $1 tonight as well! It our most popular promotion of the year! This thrilling post-game fireworks extravaganza is presented by Pepsi, WIVK and WVLT. BirdZerk! and Zerk Jr. will be on hand to entertain the crowd with his zany antics. It's their only appearance this year at Smokies Park and one you do not want to miss! Please note the promotions listed above are subject to change. Check out all the Tennessee Smokies Baseball Info - AA affliate of The Chicago Cubs Next Week - The Smokies travel to Mobile Al. Pigeon Forge, TN – June 2008 – Pigeon Forge, Tenn., will celebrate Independence Day with the three-day Pigeon Forge Patriot Festival July 4-6. It’s the festival’s 18th year, and the 2008 theme is “A Family Affair – Then and Now.” The festival is set against the backdrop of an American treasure, Great Smoky Mountains National Park. Activity begins at 1 p.m. July 4 (Friday) in Patriot Park with the Kids Karnival that includes a rock-climbing wall, a mechanical bull, a moonwalk, a bungee run and other games and activities. StarJam 2008, a concert produced by Knoxville radio station Star 102.1, will provide music. Featured artists are “American Idol” contestant Ace Young, Metro Station, Joel and Benji from Good Charlotte, Menudo and Boys Like Girls. Fireworks will cap off the day at approximately 9:30 p.m. All activities on July 4 are free. Patriot Festival takes a step back in time on July 5 (Saturday) at the Old Mill and Old Mill Square from 9 a.m-9 p.m. Tours of the Old Mill—built in 1830 and listed on the National Register of Historic Places—and pottery demonstrations at Pigeon River Pottery will highlight the traditions, crafts and heritage of East Tennessee. Old-time activities for children include ring toss, seesaws, jump rope and more, and the Carolina Bluegrass Boys will perform at 6 p.m. All July 5 activities are free. “Family Community Christian Day” will be July 6 (Sunday). A free concert at 4 p.m. at the Smoky Mountain Jubilee Theater will feature the Pigeon Forge Community Chorus and the voices of Everett Hills Baptist Church from Maryville, Tenn. Dr. Deborah Hicks will direct both groups. There also will be a concert at 7:30 p.m. at the Miracle Theater, featuring the Lee Singers from Lee University in Cleveland, Tenn. Tickets for “Voices of Lee” are available through the Miracle Theatre at 1-800-768-1170. Festival attendees on July 4 and 5 are encouraged to bring blankets or lawn chairs for seating. Food and beverages will be available at Patriot Park. Festival details are online at www.MyPigeonForge.com/Patriot. 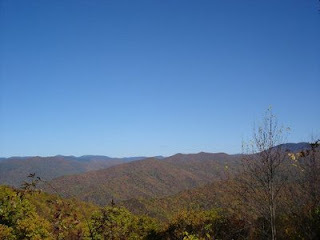 Smoky Mountains To Celebrate 75 Years in 2009 - Share Your Photos & Stories ! The Great Smoky Mountains National Park has created an interactive Web site to help commemorate its 75th anniversary in 2009. Visitors get a virtual tour of anniversary activities at the park on the Tennessee-North Carolina border and an opportunity to share photos and stories about their park experiences. How cool is that - YOU can be a part of this Great Smoky Mountain celebration !! The site also provides a history lesson on the creation of this country's most-visited national park, and efforts to protect it.The website is http://www.greatsmokies75th.org/. The site will be updated through the 75th anniversary weekend on June 13-15, 2009. Share your photos and stories of your Great Smoky Mountains National Park adventures through the decades! Send your friends and family a cyber invitation to enjoy your approved image. After looking at your adventure, they can upload their photo and story to become a part of the Smokies Family Album, too! Images should contain people and a recognizable feature, overlook, or sign that ties the image to Great Smoky Mountains National Park. Check out our Beautiful, Pet Friendly Cabin Rentals in the Smoky Mountains, near Pigeon Forge, Gatlinburg and Cades Cove. We have just the right cabin for you to enjoy all the fun of the Smokies !! PIGEON FORGE, Tenn. (Story-Courtesy of Business Wire)---Roller coaster fans from across the country will converge on Dollywood in Pigeon Forge this weekend for the theme park’s first-time Thrills in the Hills event set for June 6-8. 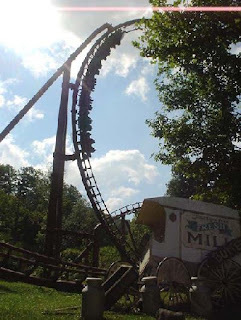 Approximately 70 attendees will enjoy exclusive ride time and behind-the-scenes tours of the park’s coasters, including Thunderhead, twice named the best wooden coaster in the world by the Golden Tickets Awards, and Mystery Mine, Theme Park Insider’s 2007 best new themed attraction, as well as the Tennessee Tornado and Blazing Fury. Participants also will see two of Dollywood’s award-winning stage shows—the 2006 international Heartbeat Award winner Dreamland Drive-In and the 2007 winner, The Great American Country Show. The weekend’s itinerary also offers opportunities to visit Dollywood’s Splash Country and Dolly Parton’s Dixie Stampede dinner attraction. DollywoodDollywood is a 150-acre family adventure park in Pigeon Forge, Tenn. Open nine months a year (March 21, 2008-Jan. 3, 2009), Dollywood offers more than 40 rides and attractions; award-winning live entertainment featuring country, bluegrass, gospel and mountain music; and a dozen crafters authentic to the East Tennessee region. For more information, call 1-800-DOLLYWOOD or visit dollywood.com. Operating days and hours vary. Check here for Last Minute Cabin Rental Deals - Smoky Mountain Luxury Pet Friendly Cabin Rentals near Pigeon Forge, Gatlinburg, Townsend and the Great Smoky Mountain National Park. Plan Your Affordable Vacation in the Smoky Moutains-Save Gas & Money! 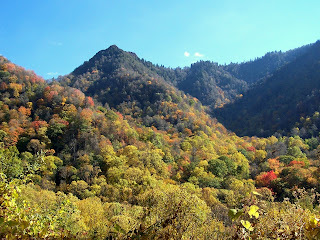 The Great Smoky Mountains National Park will always have free activities as well as very inexpensive, fun things to do. Pigeon Forge, Gatlinburg, Sevierville and Townsend on the TN side of the Smokies and also Maggie Valley, Sylva, Bryson City, Cherokee and Franklin on the NC side of the Smokies are all less than a day's drive from half of the United States population - so, plan your vacation! With the high gas prices, many of you are concerned about planning a vacation too far away from home.. The Smoky Mountains can offer you a vacation alternative without drving too far.. Plan ahead to save a few extra dollars here and there. If you rent a Smoky Mountain Cabin you can save money in the long run by cooking a few extra meals at the cabin.. Also, most cabins have a game room, hot tub and possibly access to a swimming pool - so those would be no additional expense for your vacation.. Outdoor activities in the Smokies range from hiking, tubing, rafting, and even rock climbing allowing you to enjoy God's wonderful creation. The breathtaking views of the Great Smoky Mountains are just one of the many bonuses. There are 800 miles of hiking trails to fit any level of experience. Laurel Falls trail is an easier hike that ends at a 75-foot cascading waterfall that you can swim in. A more strenuous hike is the Ramsey Cascade Trail, which opens to crystal clear cascades falling 90 feet into a pool where hikers can cool off. The Sugarlands Visitor Center near Gatlingburg has information on these and other hiking trails. 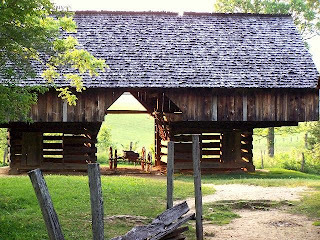 Also visit the Townsend Heritage Center and Visitor Center for more info about Cades Cove and the trails close by... There's a great biking trail through Townsend and you can have the Cades Cove 11 mile loop all to yourself if you are biking or hiking from sunrise until 10am on Wednesday and Saturday mornings during summer and fall... You can't get much closer to nature than biking or hiking in Cades Cove.. You can also horseback ride or take a hayride in Cades Cove. The Little River, which runs through the Great Smoky Mountains, provides visitors a low cost way to have fun with guided or self-guided rafting tours, kayak and tubing day rentals. You will see lots of tubes in the summer floating down the river in Townsend, at the foot of the Smoky Mountains. There are many places to rent tubes or equipment at a great price. You can even do a little geocaching in the Smokies. These outdoor activities are just a few ways you can have your summer vacation in the Great Smoky Mountains, while conserving money and fuel. Why not try some of the F R E E activities around the Smokies. Check out the great Smoky Mountain Cabin rentals for just the right one for your family.. Many are even "Pet Friendly" so you can bring along the furry member of the family..
"A spring hike in the Smokies is usually benign experience accented by wildflowers and singing warblers. However, there can be exceptions. In mid March of 1993. a storm dropped two feet of snow on the park's lower elevations. Above 5,000 feet there were chest high drifts and stranded backpackers suffered severe frost bite and eventually the amputation of extremities." Is there a better way to start a vacation in the Smokies then to be reminded that you can be mauled by the bear or loose your extremities to frost bites? We decided not to hike during the storm and to resist the urge to feed bears if we see one in the mountain. That should take care of that, now let's get down to business of planing our hikes. First, we purchased a map with all hiking trails in the Smokies for only a buck. Then we asked Information centre employees for advice and they delivered. They told us exactly which trails were suitable for our 6 year old and which ones were more demanding. They gave us a nice hiking plan for our entire vacation and it worked really well. Next, we checked weather forecast for the rest of the week, courtesy of the new hi-speed connection at Glimpse Of Heaven cabin. It is really nice to be able to turn on your laptop and get detailed weather forecast for the exact area you're going to. First we did Laurel Falls, the most popular trail in the Smokies, just to break into the habit of walking and climbing. Falls are gorgeous and hike was fairly easy. Trail is paved and the climb was not too demanding. We met lot's of people with small kids and some older couples. Following day we hiked Little River trail. It was interesting to see buildings of an old Hunting Club still standing there. They provided us with a nice photo shoot backdrop. Although "Do Not Trespass" signs were clearly visible, we were told at Information centre that it's O.K. to look around as long as you do not enter the buildings. Next, we drove to Cades Cove and hiked Abrams Falls trail. It was more demanding and rain didn't make it any easier. But still, it was nothing more than a nice walk and our younger boy (the 6 year old) enjoyed it very much and never complained. We were told to avoid hiking that trail on weekends because of the excessive crowds. So we went in the middle of the week. Still there were at least 20 people by the falls the whole time we were there. They were constantly arriving an leaving. We had a hard time getting a descent shot of the falls and we waited for 30 minutes to catch a moment with nobody else in the frame except us and the falls. We chose a sunny and clear day for our trip to Clingmans Dome, the highest peak in the Smokies. It's only a short hike from the parking lot at the end of the road to the observation tower, but it's pretty steep. We worked out quite a sweat to get there, but the splendid views were more than enough of a reward. Obviously, don't go there on a fogy day. Then, it was time for a really good stuff. Wife stayed at Glimpse with our younger kid, and me and our 12 year old went to Newfound Gap where we started our 8 mile roundtrip day hike on Appalachian Trail. Our destination was Charlies Bunion, a rock with breathtaking views of the surrounding mountains. We met and briefly talked with an AT thru-hiker and had lunch at Icewater Spring shelter (one of 250 on a 3500 kilometers long trail, where thru-hikers usually spend their nights). It was nice to be a part of this exciting adventure, even if it was for one day only (thru-hikers usually need 5-6 months to complete the task). 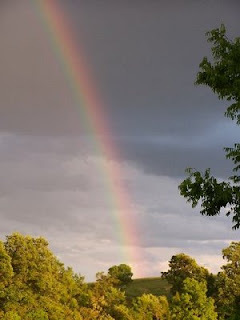 Next day was stormy and we stayed at the cabin and enjoyed all the comfort it offered to rejuvenate our strength. We needed that because on the last day of our vacation we were going to climb Mt LeConte. It was a foggy and rainy day, but at least there were no storms and kid and I put our backpacks on, checked the batteries in our cameras and left early in the morning. 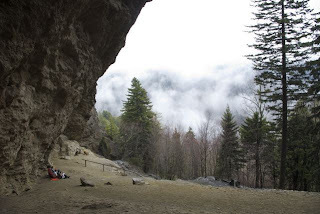 Alum Cave trail is a 5.5 mile long, very strenuous climb to Mt LeConte lodge where day hikers can use their office to warm up and dry out before the trip back. Or, if you make reservations well in advance it is possible to stay there overnight and eat in their restaurant. Even on a fogy day like that the beauty of the nature was completely overwhelming. Rocks, caves, mountain streams, trees,... it was just glorious. That hike was not suitable for our little one as well, so him and my wife stayed at the Glimpse again. I really appreciate her understanding and support for my love of hiking, but I think she also really love being at that cabin. I mean, what's not to love? GH is simply gorgeous! So that's it from me, I hope readers of your blog will find this helpful, and again, thanks Cheryl for giving us opportunity to enjoy your wonderful cabin again. Thank you Predrag and family - we look forward to having you back again soon..
Each year at the foot of the Smoky Mountains in Pigeon Forge TN, you will find a passionate group of people... They are passionate about their love of classic automobiles, motorcyles, trucks and vehicles of all shapes and sizes... They come in every conceivable variety - classic, antique, street rods, hybrids and everything in between. The SWEET 1961 Corvette above is owned by Jim Griffin of Hickory NC. It's a perfect example of the unbelievable cars seen during Rod Run AND one of my favorites..
Classic car owners and enthusiasts gather in Pigeon Forge to enjoy their love for vehicles of days gone by and futuristic ones as well.. It is an awesome sight!! Beware: Traffic jams ahead - but at least you can enjoy the view!! The Spring Grand Rod Run is the beginning of the 2008 season of car shows. Classic car, truck and motorcycle enthusiasts make the trip to Pigeon Forge, Gatlinburg, Sevierville and Townsend Tennessee and the Great Smoky Mountains each year in the spring and summer for this big event. Pigeon Forge is the most popular host to rod runs and car shows. Just beware, everyone is so excited to get there, they do start early !! The Parkway in Pigeon Forge and hotel parking lots begin to fill with classic cars normally on Tuesday prior to the show. You will find lost more than just awesome vehicles. Throughout the event weekend, visitors can enjoy interactive displays presented by vendors from all over the country. If it's mechanics that "start your engine" you will find lots of workshops to get answers to your technical questions. Come on to Pigeon Forge and enjoy a comfortable cabin with fantastic views, game rooms with a pool table, hot tub, fireplace and lots more when you're not out looking at the CARS !! We still have some openings - check out our Awesome Pet Friendly Cabins Our cabins are located in the Wears Valley area off Hwy 321/Wears Valley Rd -which makes it easier to get around the traffic by using the back roads off the main Parkway in Pigeon Forge via Wears Valley Rd. Spring Grand Rod Run: The Grand Hotel. For more information call 1-800-472-1188. For Vendor info, Contact 865-687-EXPO(3976) -Pigeon Forge, TN. Chevy Classics Round-up: 1955, 1956, and 1957 Chevy Classics Cars Show. For more information call 865-984-3758 or 1-800-429-7700. -Pigeon Forge, TN. Pontiacs in Pigeon Forge Classic Car Show: For more information call 865-983-7374 or 1-800-429-7700. -Pigeon Forge, TN. Smoky Mountains F-100 Run: Smoky Shadows. For more information call 1-800-282-2121. -Pigeon Forge, TN. Shades of the past Rod Run: National Parks Resort Lodge. 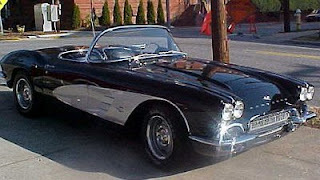 Photo above - 1961 Chev Corvette owned by friend and client - Jim Griffin of Hickory NC - What a Sweet Ride !! With the wildflowers in peak bloom during April, the Smoky Mountain Convention and Visitors Bureau (SMCVB) is once again hosting Herb and Wildflower Day on April 5 from 9 a.m. to 5 p.m. to allow locals and visitors not only to experience and enjoy the beauty of these wildflowers, but also to learn about the practical and medicinal uses of herbs and wildflowers that are found in East Tennessee. "This is the seventh year for Herb and Wildflower Day, and it has become a great springtime tradition. People really enjoy learning new things about the wildflowers," said Herb Handly, executive vice president of tourism for the SMCVB. "It's a fun and educational event that is great for the family. The mountains really show their true beauty during this celebration. It is so important for visitors to take advantage of this natural opportunity." At 7:30 a.m. participants will gather at the front porch of the Townsend Visitors Center for a special tour along the Townsend bike path with wilderness wildlife recording expert, Mark Dunaway. Dunaway has an extensive background in avian communication, which explains how and why birds sing. On the walk, Dunaway will be identifying common species found in the area along with any summer migrants that have returned to breed. Then he will be discussing tips for identifying birds and learning their songs. "Once you become proficient in identifying birds through their songs, approximately 90 percent of the birds you will detect in a given outing will be by ear. During bird census work, the vast majority of birds that are recorded by ornithologists are detected by ear," said Dunaway. Dunaway currently specializes in recordings made inside Great Smoky Mountains National Park, mostly recording bird songs, particularly those erupting from the Cades Cove area. The day will continue at 9 a.m., with a talk about the spring wildflowers by senior botanist for the TVA Heritage Program, Dr. Patricia Cox. In addition to talking about some of our more common showy wildflowers, Cox will discuss some of Tennessee's rarest wildflowers and why protecting the plants as well as the plants' habitat is so important. She will also talk about steps that can be taken to help with conservation measures to prevent the loss of these species from our native flora. Then, at 9:45 a.m., Meredith Clebsch, owner of Native Gardens, a Greenback nursery that grows and sells native plants, will speak about how to garden with plants native to the area. Since 1983, Clebsch and her husband have been operating Native Gardens in Loudon County, where they offer more than 200 different plant species. At 10:30 a.m., Dunaway will return to give a presentation on planting for the birds. The talk will instruct people on how to create and enhance a backyard habitat for birds through plantings, shelter, food, and water sources. During lunch, from 11:30 a.m. to 1:30 p.m., visitors will be able to purchase plants, baked goods and pottery as well as view gardening demonstrations. "We won't be providing lunch, but we encourage visitors to grab a quick bite from one of the Townsend eateries or purchase some fresh bread from Marjie Richardson, owner of The Bakery Lady, a local, home-style bakery in Seymour," said Jeanie Hilten, special events coordinator for the SMCVB. After lunch, from 1:30 to 5 p.m., Dunaway will be signing copies of the audio CD set, "Bird Songs of the Smokies," which is a soundtrack to the bird sounds in the Smoky Mountain. Each recording was made in the park and offers listeners a detailed narration in how to find the specific birds. 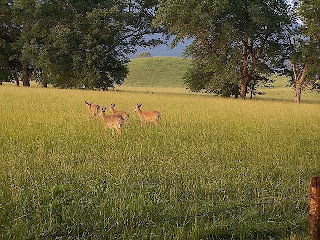 During this time, visitors will also be able to choose between two different hikes that will last from 1:30 to 3:30 p.m. or a longer hike that will last until 5 p.m. All hikes are in Great Smoky Mountains National Park. 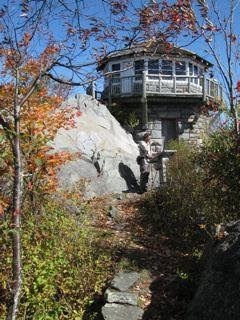 "Ferns and Flowers Stroll," led by Cox; on Chestnut Top trail is a moderate 2-mile hike that can be very narrow in places, so participants are asked to wear sturdy shoes. 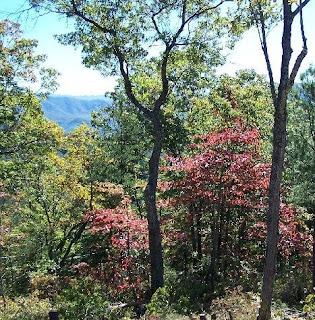 While on this hike, Cox will focus on ferns and other wildflowers. Some of the wildflowers visitors can expect to see will include bluets, dwarf ginseng, fire pink, little brown jug, Solomon's seal, Solomon's plume, several species of trillium, and wild ginger, just to name a few. Additionally, ferns are abundant including Christmas fern, maidenhair fern, maidenhair spleenwort, marginal shield fern and others. 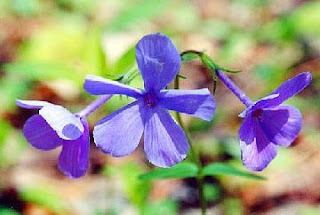 "The Chestnut Top Trail has one of the most spectacular displays of wildflowers and ferns of any trail in the Smokies. If you have never been on this trail, it is amazing and you will love it," said Cox. Visitors can also choose to take part in the Tremont area walk called "Bees and Blooms," led by Dr. Jim Lowe, a forest entomologist. The Tremont area is home to a former pioneer Appalachian community and logging town. 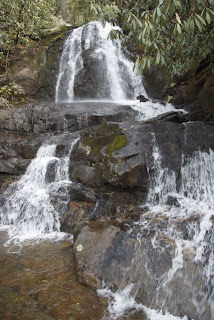 The hike, considered easy along the wide, flat trail, follows a large stream, which features several scenic cascades and a four tiered waterfall at the end. Or, visitors can take a nature hike to White Oak Sinks, led by Jim Burbank, a national park volunteer and expert in wildlife management. This popular trail features 60 different species of wildflowers along a moderately difficult 2.6-mile trail. Some of the wildflowers you can see along this route include yellow lady's slipper, Columbine and shooting stars. "White Oak Sinks is a special place in the Smokies, furnishing a great variety of flowers -- at least three species difficult to find elsewhere in the Park, a 'blow-hole' cave, and a disappearing waterfall," said Burbank. "The hike is moderately difficult but well worth the effort." Throughout the day, visitors can purchase baked goods from The Bakery Lady, which include home-made bread, sweet rolls, cookies and pies. Additionally, Stringtown Pottery, a Townsend pottery shop, will have items for sale relating to the day's theme of herb and wildflowers. Honey Rock Herb Farm and Native Gardens will also have plants for sale so visitors can buy a plant and a planter to take home. See Last Minute Cabin Openings for this weekend 4/4- 4/7/08 - Come to The Herb & Wildflower Day in Townsend TN, enjoy a cozy cabin with awesome Smoky Mountain Views. A Surprise Smoky Mountain Cabin Vacation & One Brave Man! I think you can read my feed back(on the online guestbook) and see that we had a wonderful time. Carol was tickled with what she found when we arrived. She said it was worth the wait to finally get to see the beautiful cabin and the surrounding mountains. 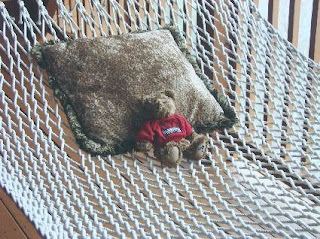 I did promise you some pictures of the Bama Bear and I am sending a few. I think it is apparent that he is enjoying his stay...lol...but not nearly as much as we did. Thank you for putting this cabin together and allowing your many visitors a chance to enjoy a real "glimpse of heaven". Spring is almost here and it's once again time for Dollywood to open for 2008. This year will feature a new, $5 million dollar - River Battle Ride when the theme park opens its doors for the 2008 season on Friday, March 21, 2008. 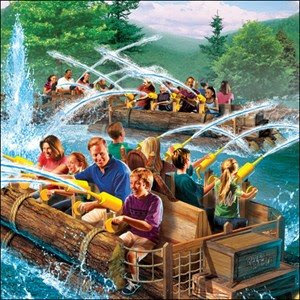 Dollywood will also add a 750-foot walkway to connect Timber Canyon with Craftsman’s Valley, reopen its Thunder Road attraction at Adventures in Imagination and host five spectacular festivals for the 2008 season. There is also a new entrance for 2008 to improve traffic flow into the theme park. Dolly will be making her annual appearance at Dollywood on April 11th and 12th to help kick off the 2008 season with press events scheduled during the day on Friday followed by her traditional parade through Pigeon Forge on Friday evening - Aprill 11,2008. The Dolly Parade will begin on River Road near traffic light #7 and will travel north along the Parkway disbanding at the Belz Factory Outlet World at traffic light #3. The Dolly Parade will get underway at 6:00 p.m. Just a taste of the entertainment that can be found all year in Pigeon Forge. Dolly will also be doing a number of tributes to her late friend Porter Wagoner throughout the weekend including a musical tribute and rose ceremony. The musical tribute will feature many of the original Wagonmasters complete with their characteristic sparkly rhinestone suits. Dolly will also include long-time friend and original Wagonmaster, Don Warden, on steel guitar in the tribute show. Why not a last minute trip to the Smoky Mountains this weekend and stay in a great cabin near Townsend Special Last Minute Rates! The Smoky Mountain Convention & Visitors Bureau, Great Smoky Mountains National Park, Great Smoky Mountains Association, Great Smoky Mountains Heritage Center, Cades Cove Preservation Association, and other community groups in the Townsend, Tennessee area are working together for the 2008 Winter Heritage Festival. 2007 was the first year, and the festival was a great success, winning an "Award of Distinction" from the East Tennessee Historical Society. Pick up a program brochure and registration form at several locations around Blount County, download below, or call 800-525-6834 to obtain a form. Bill Landry, featured guest speaker--"Cades Cove and the Heartland Series"
In the evening, Townsend area restaurants are featured at "A Taste of Townsend". A few of the highlights include "Drawing History" workshop with Andrea Wilson, "Cades Cove Military History" with Blount County Mayor Jerry Cunningham, "Wild Edibles of the Smokies", Ila Hatter, Logging and Railroad History and walks, "Cades Cove Photography" with Bill Lea, Cherokee Storytelling and music, plus a wide variety of sessions on the special places and families of Cades Cove. Sunday, February 10, 2008-At the Richmont Inn: "The Walker Sisters", with Robin Goddard and Harp Music with Jennifer Love. At the Valley View Lodge: "Precious Memories--A Cades Cove Homecoming" panel discussion. Programs and Presenters 2-1-08 A booklet of the schedule describing the activities and leaders, as of 1-24-08. Please call 865-448-6134 for updates, as there may be last minute changes. Note that this document is in booklet format, to be printed front to back, so just follow the page numbers! Winter registration form Please download this document to register for sessions, and send to info@smokymountains.org or mail to Townsend Visitor Center, 7906 E. Lamar Alexander Pkwy., Townsend, TN 37882. CONTACT: Most programs are free, but many will fill fast, and pre-registration is required. Please register by February 1. (See program registration form, above). There will be charges for mealtime programs. To obtain registration forms, call 865-448-6134 or 800-525-6834 and to make reservations for meals call 865-448-0044. Tennessee Arts Commission: This project is funded under an agreement with the State of Tennessee, the Tennessee Arts Commission and the National Endowment for the Arts. 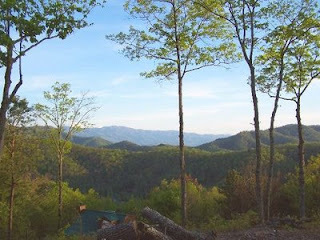 Pick a cabin with incredible views for your trip to Townsend and the Great Smokies. Need a lesson or brush-up for your snow skills? Why not try something new - alpine skis, shaped skis or snow boarding. 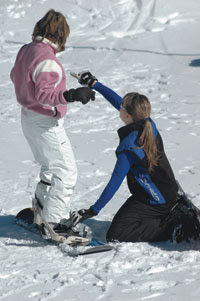 Smoky Mountain Snow Sport School in Gatlinburg offers lessons for families, groups or individuals. The Cataloochee Ski Resort is on the North Carolina side of the Great Smoky Mountains in Maggie Valley. Maggie Valley is home to Ghost Town In The Sky which reopened last year. This is about an hour's drive from the Gatlinburg-Pigeon Forge area - why not enjoy all the attractions and cozy cabins near Pigeon Forge/Gburg and try both ski areas. Have some Smoky Mountain fun in the SNOW ! Best "Shows" in The Smoky Mountains ! I have some natural shows for you. Sunsets ...There are few better places to watch a sunset than atop Mt LeConte at Myrtle Point. Can't spend a night or hike that far try Clingman's Dome. Waterfalls... Ramsey Cascades in the Greenbrier section is my favorite. It is the highest falls in the park, but getting there is half the fun. The Greenbrier section is old growth forest and there are trees there where 5 grown adult humans can barely reach around the tree. Lakes....If you got a boat, Lake Fontana is a fantastic lake. Surrounded mostly by Federal land it is wild and scenic. There are remote trails, waterfalls and excellent fishing to boot. You can explore remote parts of the National Park and barely see another soul. White water rafting...the Pigeon is a nice river,the Nantahala is the world's most rafted river with class 2s and 3s, but the Ocoee is perhaps the wildest ride within a few hours of Gburg. Best swimming hole, besides Lake Fontana, I would vote for the "Sinks" on Little River in Townsend where you can jump off rock outcroppings into cool mountain water. Best day hike with a view...this is a 4 way tie and usually you gotta pay double for that, Andrews Bald off Clingmans Dome with 180 degree views of Lake Fontana, The Nantahala and Plott Balsam Mountains, Gregory Bald over looking Cades Cove both bald hikes feature the native flame azaleas, Chimney Tops and Charlies Bunion are great rocky cliffs(Bob, are these rock cliffs slightly dangerous or what? cg). Fun for the entire family. Best Drives - Roaring Fork motor nature trail featuring a drive along the steepest stream in the eastern US. The Blue Ridge Parkway is the Grand Dame of scenic roads in America. That's my list of natural shows. Mountain Bear Cabins & Dillsboro Chocolate Factory You won't be sorry - unless you get hooked on those creamy, hand dipped - chocolate turtles - yum! !